The Tabasará River was born in the mountain range that bears the same name. 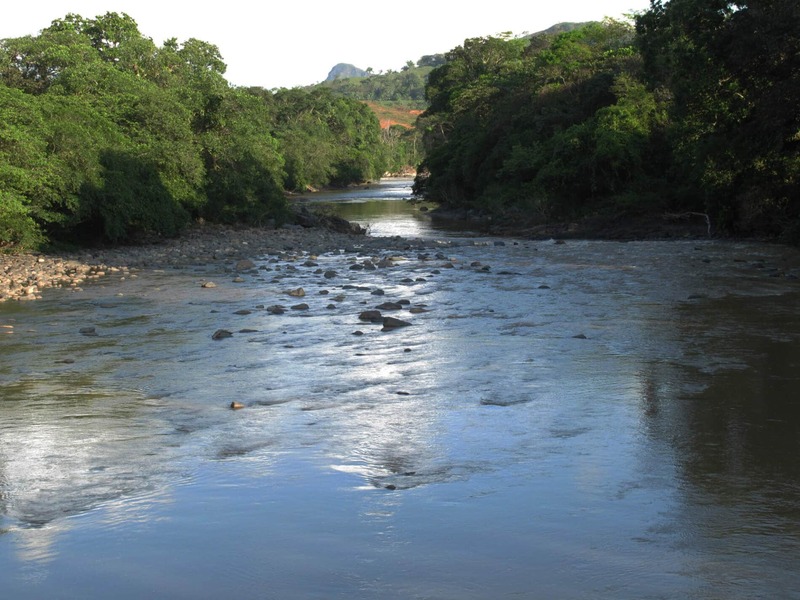 The river starts in the Ngäbe Comarca, passes through the Panama province of Chiriquí and empties into the Pacific Ocean. Along its journey, Mredra, as the Tabasará River is known in the Ngäbe language, supported large amounts of fish, medicinal trees, and wild animals among many other wonders that this river conserved. It was one of the most important rivers in Panama. Today, everything has changed. In 2006, the Barro Blanco Hydroelectric Project appeared–and with it began a fierce struggle to save the Tabasará River. That year, under the government of President Martín Torrijos, the ANAM (National Environmental Authority) had granted a water concession contract to the company GENISA (Generadora del Istmo SA) owned by the Honduran Luis Kafie for the construction of the Barro Blanco hydroelectric project (BBHP). In the contract, it was established that the dam would generate 19 MW of electricity. In Veladero de Tolé (tens of kilometers from the project area) an alleged public consultation was carried out — unbeknownst to the Indigenous peoples and peasants who would be directly affected by the project. The Cacique (leader) of the Ngäbe Bugle Comarca, Máximo Saldaña, signed a lease where he gave GENISA the right to flood Ngäbe Bugle Comarca lands, all without informing the General Ngäbe Congress and those directly affected by the decision. Indigenous and peasant communities organized within the ranks of the April 10th Movement. 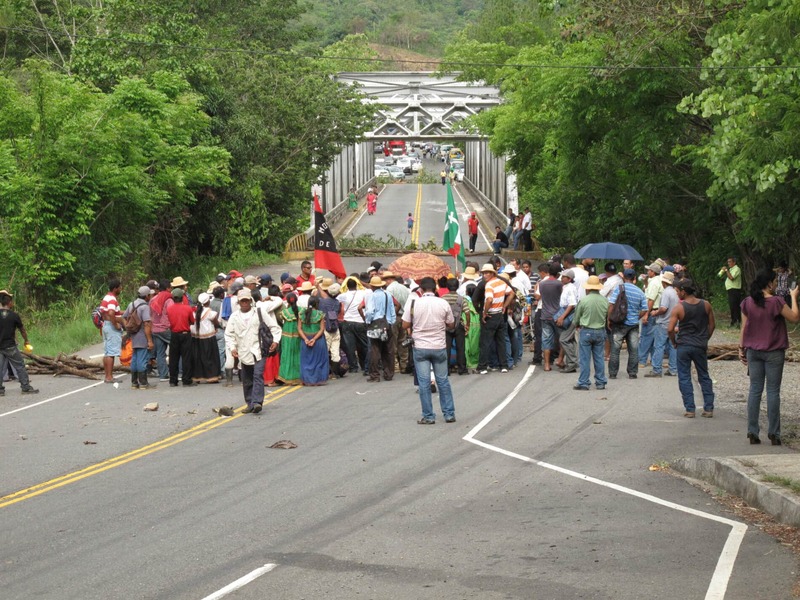 Known by its acronym as M-10, they came out to protest and reject the construction of the Barro Blanco hydroelectric dam. 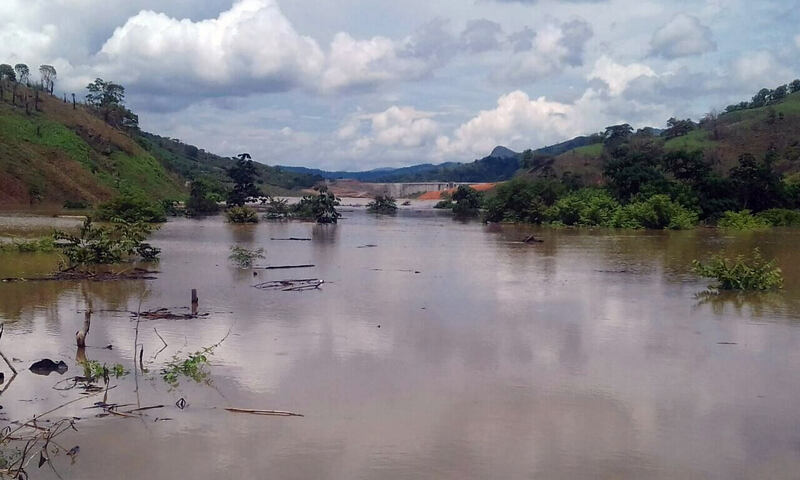 According to them, this dam would inundate Ngäbe and peasant communities, regional territories and countless affectations. They set up a protest camp at the very entrance of BBHP. 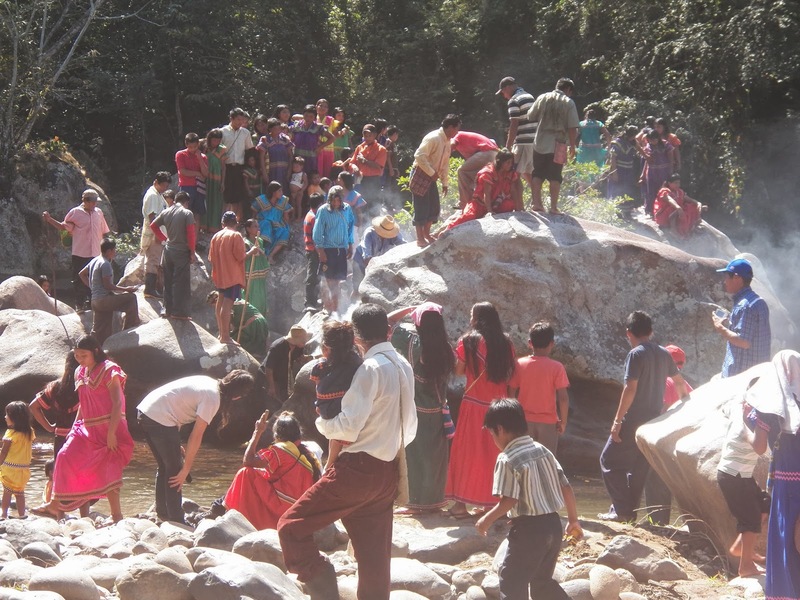 However, despite the strong opposition to the project, in September 2011, the Regional Congress of Kodri (a region of the comarca) through its president Rencilia Mendoza decided to endorse the Barro Blanco dam without considering the opinions of those directly affected by the project. Subsequently, in 2012, the March 26 agreement was signed that allowed the field verification of the BBHP. The construction of Barro Blanco began–despite the protests of the Ngäbe at the national level, the assassinations of Mauricio Méndez (16 years old) and Gerónimo Rodríguez Tugri (24 years old) and the death of three other indigenous people as a result of injuries sustained during the protests. The field verification report was carried out by UN experts. It went on to indicate that BBHP would affect the Ngäbe communities in the cultural, economic and environmental aspects; but it was of little consequence. The construction of the Barro Blanco project was never halted. 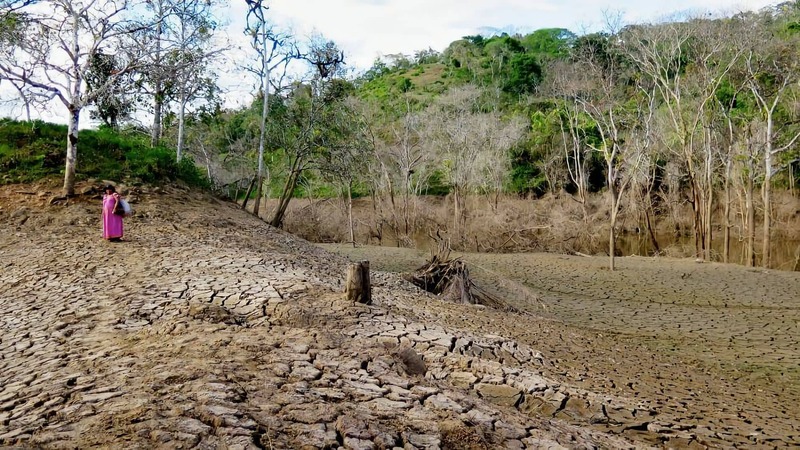 With the arrival of the government of Juan Carlos Varela, a new dialogue table began that was facilitated by the UNDP to determine the viability of the Barro Blanco dam. Amid this new dialogue table, Panama’s Ministry of Environment MIAMBIENTE (formerly ANAM) ordered a suspension of the hydro dam’s construction. However, because of the recommendation of certain technicians representing the indigenous commission, and the insistence of GENISA, construction was allowed to resume. The dialogue table went on to conclude that Barro Blanco dam was not viable either culturally, economically, or environmentally. But the Ngäbe-Bugle were betrayed once again. This time, Cacica (leader) Silvia Carrera signed an agreement on August 10, 2015 giving the Barro Blanco project consent to operate. The wanton suffering of the Ngäbe-Bugle and peasants truly began with this agreement–and so did the destruction of the Tabasará River. As a final blow by the government of Juan Carlos Varela, the UNDP, and GENISA, in collusion with authorities of the Ngäbe Bugle region, the Barro Blanco Hydroelectric Project was endorsed through a new agreement that was signed in Llano Tugrí on August 22, 2016. The Barro Blanco Dam was permitted to flood the Ngäbe communities of Quebrada Plata, Quebrada Caña, Nuevo Palomar and the Cultural Community of Kiad. Among those who participated in the agreement were the Cacica Silvia Carrera and the regional and local caciques respectively: Chito Gallardo, Francisco Miranda, Jeremías Montero, and Marcos Samudio, among others. Also participating were the councilors of the district of Muna, together with the president of the Council of Regional Coordination, Ricardo Santo. The agreement, in part, stated that the comarca would be given 15 percent of all profits from this dam, among many other gifts. However, the comarca never received anything–and then the government of Varela dismissed the agreement, arguing that it wasn’t valid. The Barro Blanco dam has been generating 29.56 MW for two years and months. When we toured the area, we could see a group of children gazing at the horizon where there were large dry trees that once formed a part of the gallery forests. They looked lost as they contemplated a lake where there were now only dry banks. We also contemplated these places, as well as the ancestral cemeteries and archaeological sites that now lie under water. A beautiful river that once supported cheerful communities, exuberant fauna, abundant forests, archaeological riches and great biodiversity, today has been turned into a pathway of death and destruction.